The DuSable Museum of African American History on Chicago's South Side is home to a collection documenting the history and culture of African Americans in the United States. CTA Bus #10 Museum of Science and Industry Southbound to Museum of Science and Industry bus stop. Transfer to CTA Buss #55 Garfield Westbound to 55th & Cottage Grove. Walk one block south to DuSable. Limited parking is available in the DuSable parking lot. Tuesday through Saturday: 10 a.m. to 5 p.m.; Sunday: Noon to 5 p.m.
All Military Duty Personnel, all branches, receives complimentary admission. Personnel must show ID or be in uniform. Active or non-active duty personnel/ POW’s (Illinois Residents); receives complimentary admission. Must show VA ID w/POW status on front. 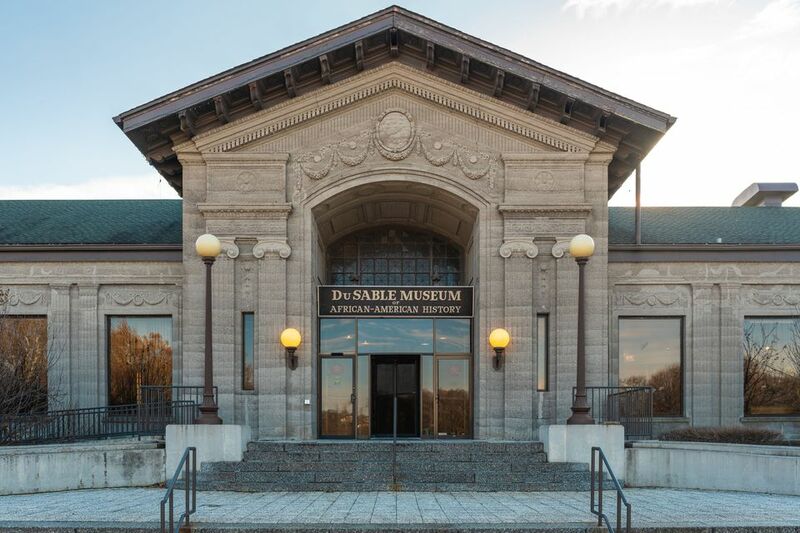 Located in Washington Park on Chicago's South Side, the DuSable Museum of African American History was the first museum in the United States dedicated solely to the history and culture of African Americans. Founded in 1961 by historian Margaret Burroughs, DuSable now houses more than 15,000 significant pieces, including art, print pieces and historical mementos. In March 2016, the Smithsonian Museums granted DuSable affiliate status, which means that the Chicago institution now has access to Smithsonian’s artifacts and traveling exhibits. It is the second Chicago cultural institution to be granted this prestigious affiliation; the Adler Planetarium is the other. The DuSable Museum also hosts special temporary exhibits throughout the year, topics of which might cover the Civil Rights Movement, the Black Panther Party, or the Emancipation Proclamation. The museum was named after Jean Baptiste Pointe du Sable, a self-described "free mulatto man," who is widely recognized as the first permanent resident of Chicago and is formally considered the Founder of Chicago by the State of Illinois.